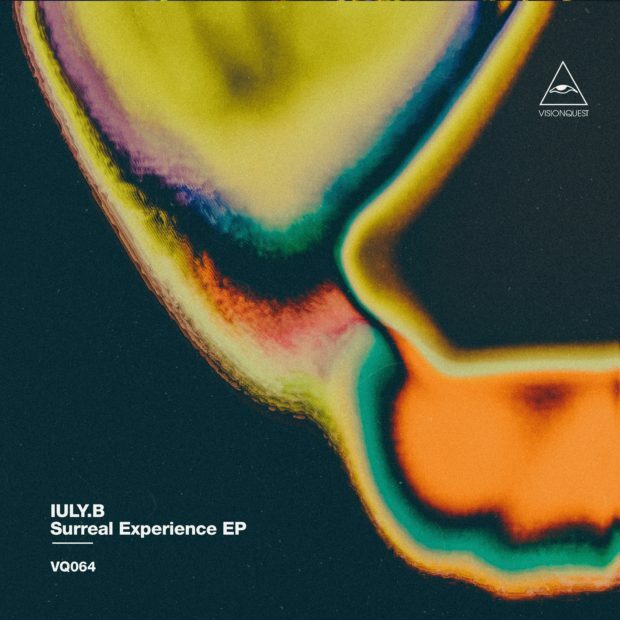 IULY.B returns to Visionquest this March with the ‘Surreal Experience’ EP accompanied by a remix from Bass Culture’s D’Julz. Romania’s IULY.B is rapidly becoming a household name in the realms of stripped-back, immersive house music of late, a regular feature on Hector’s Vatos Locos imprint and at the label’s events, as well as releasing material on Bouq, Claque Musique and of course Visionquest where he returns to here following his ‘Observatory’ EP in November of 2016. This time round IULY.B launches the ‘Surreal Experience’ with a murky, dub-tinged composition entitled ‘Sci Fry’, laid out over eight minutes with snaking synth whirrs, sweeping dub echoes and tumbling sub bass tones before Bass Culture head-honcho D’Julz reworks the original into a more robust, groove-drive interpretation via swinging rhythms, stuttering sample chops and a thunderous low end drive. ‘Moonberry’ opens the flip side on a more reduced tip with bumpy organic percussion, rounded sub swells and an amalgamation of sonar blip melodies to create a dynamic and hypnotic workout, ‘Time Traveller’ then closes the release via expansive atmospherics, subtly evolving acidic synth licks and loose shuffling drums.